New York Times best-selling author Maya Banks received a RITA nomination for Hidden Away, the third novel in her captivating series starring the Kelly brothers. After Sarah Daniels witnesses Marcus Lattimer commit murder, she’s paralyzed by fear. Garrett Kelly agrees to keep her safe, mostly to get a shot at Lattimer, whom KGI has been after for years. Garrett never planned on falling for Sarah - but when she disappears, nothing will stop him from bringing her home safe. I love this series! Garrett is my favorite so far! He seems like a grumpy, tough guy but he isn't especially when the women are around!!! Again, Harry Berkeley is the PERFECT narrator for this series!! If you could sum up Hidden Away in three words, what would they be? What other book might you compare Hidden Away to and why? Hidden Away is in a league of its own. What does Harry Berkeley bring to the story that you wouldn’t experience if you just read the book? The talented Harry Berkeley brings an added depth and warmth to the story with his characterization. 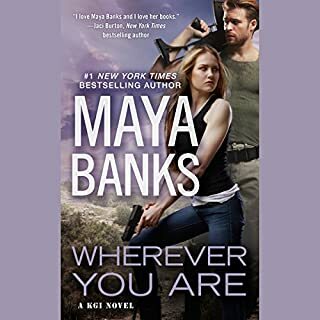 Take one strong man and one slightly bruised woman and Maya Banks gives you another excellent story of love and betrayal. The whole series I’d rank with 5 stars so I can’t wait for the rest of the audiobooks! Would you listen to Hidden Away again? Why? Yes I would listen to all of them again. Just a great read with all the twists and action and romance I like to see in books. I wish they would get the books in order. I read a few an then seen that audible had a couple in there list. They have romance, mystery and action. I love the Kelly men, who wouldn't! 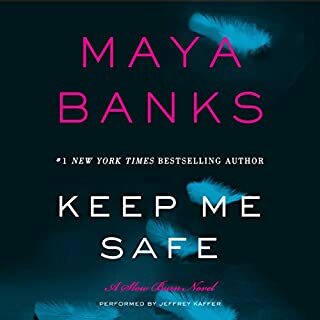 I can't wait for audible to get more of Maya Banks books. Maya Banks has become my new favorite author. Harry Berkeley did another great job (loved his narration of Whispers in the dark) Hope he does the rest of KGI series. Thanks Audible. Can not wait for Rio and Grace's book on audio. Caution... You won't want to press stop!!! Where does Hidden Away rank among all the audiobooks you’ve listened to so far? This book is easily in the top five, if not number 1, of my top audiobooks. I'm a graduate student, so I don't have much time put keep my nose and anything outside of text books. I started buying audio books because since I can't read while driving, or on the bus (because the constant shaking of the book gives me a headache) so I thought listening to audio books would help me get my fiction fix. So in general I just listen on the road, then turn it off until my next outing... NOT WITH THIS ONE. Its 11+ hours long and I've finished it in two days. I listen to it while at home because I'm so stuck on whats gonna happen next. I've got a new fave author to add to my list. Which character – as performed by Harry Berkeley – was your favorite? Oh and I must also say Harry Berkeley is a VERY TALENTED reader. I generally steer clear of audio books red by men because I'm to distracted by how they attempt and usually fail (in my opinion) to portray the female characters. Harry did great, I'd listen to a book read by him any day. It moved me, I didn't laugh or cry (Francine Rivers is the only author who has ever made me cry) but I felt bonded to the characters like I was in the drama with them, trying to get out alive and in love. Worth every dollar or credit. What made the experience of listening to Hidden Away the most enjoyable? I have always had this thing about bullies. I love to see them get stomped. My first Maya Banks and I am now a FAN! This is a great book, and I will most def listen to it again. I didn't know it was a series and I started in the middle and now I must get the others...Even though I started with this one it did not take anything away from it as other series I have listened/read often does. This series keeps getting better with each installment. The theme is strong tough guys fighting a good fight against bad guys and falling for the one woman who can make or break them. A strong family standing behind the brothers. And all the family issues that come with having a big family. Maya takes all of this into account with a steamy romance between the lead characters. Predictable yes, but worth the credit. 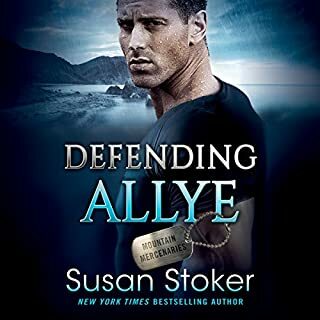 If you're a MB fan then you know by now what this fantastic series is all about - some really gorgeous alpha males (mmmm delicious) who risk all to save the world of it's darkest enemies and in the process find true love (ahhh be still my heart). I think this has been my favorite so far, a broken damaged heroine is saved but is it for the right reasons? Action, tension, great characters both good and evil, a brilliant plot that will have sub plots and, of course, romance and passion. Yep, it's all here just waiting for you to discover the ever-growing KGI family and their team as they take on missions and we discover more about their lives. Worth a credit? Don't delay - download today - so that's a YES and I can't wait for the next instalment. 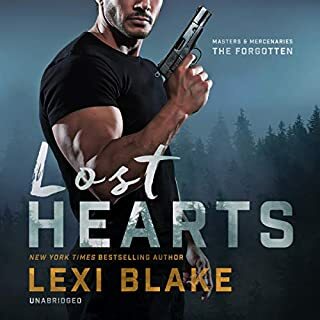 It's a good listen like the previous books in this series but I wish they were a little more steamy in the romance department. I love Maya but sometimes her books don't impress me; are average; or they are smoking hot. I prefer the smoking hot ones. This is in the middle for me. I like the concept of this series. My only complaint is that I want those men to be more dominate like her characters that are in her Sweet Series. Otherwise it's good. I prefer getting these books on sale and save my credits for something I'd think I'd like better.